In making this public intervention, I seek to highlight the benefit of global relationships and cooperation in a world that is changing daily as a result of globalisation and transborder economics, social and even criminal activities where no one is safe, except all are safe, and to leave the dispassionate observer his opinion after deep reflection on the value, or lack of it, of President Muhammadu Buhari’s foreign trips. This way I hope every Nigerian who cares about our country will have some information about what their president is doing about the things that concern them. First I will start with context. Barely two decades ago (between 1994 and 1998), we would not have quarrelled with the description that we were a pariah nation. We were ostracised from global events because of bad governance. We had lost the respect accorded nations like ours were they well-led and well-run. I recall that not a few Nigerians complained that the green passport was becoming, if it had not already become, a burden. That was at the height of the dictatorial government that broke the rules of international relations. It was from there that we started to heal. Investors entered our country. Many brands that we sought after abroad started coming to set up shop in our country. The tourist footfalls in our country increased slowly but surely, but again we began to slide. That was when Buhari declared at a meeting in Lagos during his campaign in 2015, that if elected, he would make us proud about our country again. Proud to be Nigerian again. Make the Nigerian national interest the overriding factor in its foreign policy and international relations. Work to reform global governance in multilateral institutions and agencies. Work to strengthen the African Union (AU) to become a more effective organisation on global affairs. Engage the BRICS countries (Brazil, Russia, India, China and South Africa) on the basis of equality. Play a leadership role to develop a MINT (Mexico, India, Nigeria, and Turkey) as a counterforce to BRICS. I will limit my takeaways to four trips that I attended with the president namely: the G7 Summit in Germany, the Oil and Gas Summit in Iran, the Renewable Energy Conference in Abu Dhabi and the state visit and Business Forum in China; and two trips that I did not attend, but whose deliberations I followed, namely: Paris for the COP 21 and USA for the Nuclear Energy Summit. This is a club of eight of the most industrialised, economic and technologically advanced nations. For the benefit of those who do not follow international politics, it was originally the G8 comprising the USA, Britain, Germany, France, Canada, Japan, Italy, and Russia, who were later suspended and had sanctions imposed on them to make it G7 as a result. It was formed in 1975 as a club of six before Canada and Russia were admitted. They look after each other, and the rest of the world to put it simply. They have gone to war together if you remember Iraq and Libya in recent memory and they are all largely collaborating to fight terror. (Most recently the FBI was rendering assistance to Belgium in the aftermath of the terror attacks in that country). Why G7 one might then ask? Answer: German Chancellor Angela Merkel, as host, invited President Buhari on his inauguration to be their guest along with some three or four other African countries. Their agenda was global security, global economy and global health in the aftermath of Ebola, which was still raging in some African countries. Apart from the personal aides of the president, Governor Shettima of Borno, General Abdulrahman Dambazau and myself were the only ones who accompanied the president. I recall that upon our arrival in Germany, they expressed surprise that our delegation was small and asked if others were still coming. In the pre-departure briefing, in addition to highlighting how the security and economic agenda of the G7 coincided with two of his campaign promises, security, (corruption) economy, President Buhari stated the reasons three of us were invited. Governor Shettima was in the front line of terrorists and criminal activities in the North-east; General Dambazau was a former Chief of Army Staff, and also a faculty associate of Harvard University Weatherhead Centre for International Affairs; I had run the single biggest economy of a state within Nigeria for eight years and was in the frontline of Ebola. Without ministers, one week after taking office, he felt we were the ones best suited to assist, if he needed it, on the issues of security, economy and health on the G7 agenda. In the event, he did not need us. He held his ground admirably. He was the first person called upon to speak at a Summit in which Nigeria was not a member. I was proud to be a Nigerian. At global summits, we usually got to speak when others had spoken and the hall has emptied. President Barack Obama was the first G7 member to speak after President Buhari and he said that Nigeria has elected a president that brings a reputation of scrupulous integrity to the table. I was proud to be a Nigerian. The opening session was robust and welcoming, we saw some of the world’s most powerful men and women take off their jackets, call each other by their first names in a club-like setting while addressing the world’s most serious problems. Problems that affect you and I daily. I was proud that my president was in a room where decisions concerning my planet were being deliberated upon. British Prime Minister David Cameron, Chancellor Merkel and others also spoke in similar vein about our president’s reputation and our nation’s strategic position in Africa and the world. They pledged support for Nigeria on terror and the economy. If we all appreciate how vulnerable we can be without effective antibiotics, especially our children, and if we remember how low life expectancy was and how poor global health was before the discovery of Penicillin after the World War, we will appreciate the seriousness of the platform to which Nigeria was invited. I was proud that our president was there. If the seven most powerful nations stand with you, who can stand against you? I need not say more except that I can attest that President Buhari has been following up on these matters, and the progress on security is visible, while results on the economic front will manifest soon enough. For those who are not aware, one of the reasons why oil prices went up, and from which we benefited in the past, was that Iran, the world’s 7th largest producer of oil, was facing global sanctions from which she was due to emerge in 2016. Because Iran was soon to be selling oil, the likelihood of a further crash of oil prices that had drastically fallen was a threat to Nigeria’s economy if oil prices crashed further. (Our 2016 budget proposals had just been formulated on a $38 per barrel assumption). I was witness to President Buhari’s persuasion to Iran to come to the market slowly instead of pushing out large volumes which will raise supply and crash prices, even though Iran also needed the cash. You can’t do that type of diplomacy by letter or by phone, in my view, not when the major players were all there in person. I witnessed the meeting with the Venezuelan prime minister, who was leading the South American producers to sell more and get cash even if the prices were lower. President Buhari’s logic was different. Hold your volumes, steady the price, and don’t let us hurt one another. Recorders of history will recall that the Venezuelan government suffered a major political defeat in Parliament, while President Buhari’s logic has at least steadied oil prices. It might interest you to know that all European nations sent their oil ministers, except Russia, where Vladimir Putin came in person, because having been suspended from the G8 and facing sanctions, this was the meeting where his country’s interests were best served. This is the reality of international politics. Finally on Iran, President Buhari told us, how when he flew to Iran in his days as Petroleum Minister, he noticed how much gas they were flaring and now he returned as president, all the flares were gone. We found out that all the gas had been harvested and piped to every home for heating, cooking etc. His mandate: “If they can do it, we must do it.” I am proud to be led by a president who sees good things outside and seeks to bring them to his people. This is reputed to be the richest of the Emirates in the United Arab Emirates (UAE). Apart from seeking cooperation to recover Nigeria’s stolen wealth stored in the UAE (his anti-corruption commitment pursued in person), President Buhari addressed a renewable energy summit where we learned about initiatives to bring solar power price down to five US cents per kilowatt hour, (approximately N10) as against the price of 17 US cents (N34) per KW/h tariff in Nigeria fixed at privatisation by the last government. President Buhari’s mandate was for us to explore collaboration for the manufacture of solar panels in Nigeria to bring down the price and deploy it to the sunlit areas of Nigeria, especially the North that is most prolific for irradiation. We are currently working on the Energy Mix for Nigeria which is the implementation process of the energy policy that will take us there. Hopefully, we will soon be signing the first set of solar deployment agreements for Nigeria. In this way, more solar and hydro will be used in the North, more coal and hydro in the Middle Belt, and more gas in the South; so that we take power generation closest to the most prolific source of fuel to bring down the cost and make it more affordable. On the trip to China (which I will comment on) we met a few Chinese solar manufacturers (who recognised us from Abu Dhabi) who want to set up business of manufacturing solar panels in Nigeria. This is the visit that provoked this write up, because I had bottled what I knew. But it was time, I believe, to share some of it. China is the second largest economy in the world with a per capita income of $8,000 which they are planning to raise to $12,000 by 2020. By her own assessment, according to President Xi Jinping, they are still a developing nation seeking to achieve what he described as “initial prosperity” by 2020. If you look at the back of your phone, your TV, your watch, your I-Pad, your mobile charger, many other accessories that you use, you are likely to find these three words “Made in China” printed somewhere. For such a nation, (with trillions of dollars in reserves, that plans to spend $2 trillion on imports in the next five years and earn $100 billion annually) who still sees itself as a developing nation, such modesty in the face of success, assiduous hard work and productivity is a destination to seek cooperation in the pursuit of economic development. 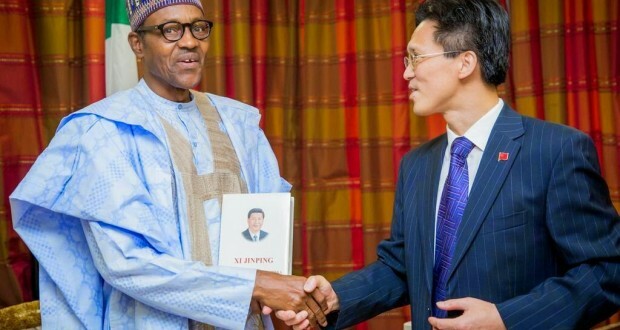 This is where President Buhari led an array of Nigerian investors including Erisco Foods, (who now makes our tomato paste at home and employs people locally including farmers who supply the tomatoes), power operators (DisCos and GenCos), and the Dangote Group, to meet with and address their Chinese partners. During the meeting with the Chinese President, six collaboration agreements were signed including for agriculture and food production improvement techniques, rail and power infrastructure development, for funding the Dangote Group to continue to expand and create jobs at home and keeping some of our reserves in the currency of the richest nation in the world. This last mentioned agreement was a legitimate coup by President Buhari because the intelligence was that some West African countries were going to sign before us. President Buhari seized the moment. Of course he had to apologise for our previous failures on our agreement made to part-fund four airport projects in Lagos, Kano, Abuja and Port Harcourt and Abuja-Kaduna rail project. The Chinese had provided their agreed part of 85 per cent but the remaining 15 per cent Nigeria did not honour during the last administration. Some of the recent revelations about financial scandals estimated at $2.1 billion in the office of the National Security Adviser (NSA) alone during the last administration suggest how impactful such funds would have been in delivering these critical infrastructure; but we all know what happened. If this was not initiative I doubt what is? a) The threat of climate change, global warming, desertification in the north of Nigeria and coastal erosion in the Atlantic (Bar beach in Lagos) and in the south, affecting Rivers, Bayelsa and other coastal states, the clear scientific evidence lays the blame at the door of the world’s most industrialised nation for their pollution. c) COP 21 was the first serious commitment that these leaders made to ensure that global temperatures do not rise above 2°C and indeed are reduced to 1.5°C. I am proud that Nigeria was not missing at this historic moment. When the planet is saved, the next and future generations of Nigerians will recall that President Buhari was present, when all of the world leaders were present to save the planet. e) These nations are at the cusp of sharing safe nuclear technology for peaceful uses with developing nations for power generation. This for me was reason enough and a good one at that for President Buhari to be in the USA because Nigeria has been pursuing a nuclear power programme for about 17 years, not as an alternative to gas or Hydro, but as additions to them. The world leaders must trust you for you to partake. At that summit, in the group photograph, President Buhari stood on the second row along side Britain and Turkey. In the past, we used to be on the last row. This is CHANGE. As he meets with world leaders outside Africa, he has not forgotten the home front. He is regularly visiting and receiving his sister and brother presidents on the African continent. President Buhari has earned their trust for all of us and I am proud to carry my green passport. Yes, some results are not yet manifest, and may take a little while to do so, but a solid foundation for a sustainable, respectable and prosperous future is being laid, block by block. This is how to build a solid “home” from whence we can project respect abroad with confidence. How many of us will do business with total strangers without a reference or a good reputation in this age of due diligence? President Buhari is building affiliations everywhere that if well-managed in future, will develop into a global network of friendships, trust and respect for Nigeria and Nigerians. I once heard that the role of a leader, like that of the head of a family, is that of an aggregator, opening doors and opportunities, breaking down barriers and forging alliances. I agree. This is my Takeaway on these trips.